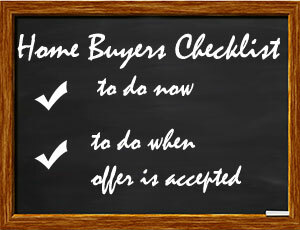 A home buying checklist, just for you! Find and pick your buyer’s agent. Find a mortgage broker/lender. Talk to at least 2 different brokers/lenders to see who will give you the best terms and rates. Need a Referral for a Loan Officer? Contact me via email at info@homesforsalegb.com or call/text 773.218.0502 and I would be happy to refer you to a qualified loan officer. Turn in your pre-approval letter to your buyer’s agent along with your lender’s contact info. Do not buy anything expensive or open new credit cards. Continue to pay all your bills on time. And please be careful with your finances until we close. Ask your buyer’s agent to send you a copy of the contracts that will be used to purchase your new home. Review them, so when the time comes to put in an offer, you’re more comfortable with the process of putting in an offer. Any questions, ask your buyer’s agent. Turn in earnest money. This can be a personal check and mailed in. Ask your buyer’s agent where to send it. Contact your lender to see what they might need from you. Keep your buyer’s agent in the loop of your mortgage process. Tell your landlord, or turn in your 60 day notice to vacate – if you are renting. Begin packing. Hire a mover, or hit up your friends. Pizza is a fair trade, right? 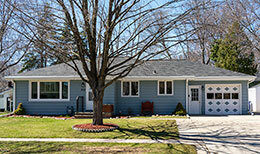 Call WPS and have utilities to be transferred into your name on closing day. Water is automatic when title transfers, so you’re good there. Gather funds for the down payment and closing costs. Set up the final walk through with your buyer’s agent. This is typically done within 3 days before closing. If you can’t make it, tell your buyer’s agent to go for you. CLOSING DAY! Double check that you have your driver’s license and down payment check with you! Consider having all locks changed and new keys made. I know a reliable and cheap locksmith if you don’t want to buy all new locks. Change garage keypad passcodes too.